Patagonia Provisions and Hopworks Urban Brewery have come together to create a beer that contains ingredients that could have a huge impact on the environment. Long Root Ale is a beer made from a new breed of wheatgrass called Kernza. arguably lessens the effects of climate change. Because of it’s 10 foot roots, Kernza requires less water and can thrive without the use of pesticides. Aside from Kernza, Long Root Ale also uses organic yeast, organic two-row barley, and a blend of organic Northwest hops. The 5.5 ABV% blend results in a beer that has tastes and aromas of grapefruit and balanced maltiness. Long Root Ale also holds a slight spicy taste, thanks to the Kernza. How Can Kernza in Beer Help the Environment? The use of Kernza in Long Root Ale opens the door to new possibilities when it comes to the future grains breweries use in the brewing process. Patagonia Provisions hopes to take Kernza beer to the next level by partnering with larger breweries around the world. With more demand, the more farmers will turn to Kernza. Even if only a small percentage of farmers begin growing Kernza, the impact could be significant. Kernza’s dense root system grows up to 10 feet down into the Earth, allowing it to react to changes in temperature and soil quickly. Unlike annual wheat, that doesn’t live long enough to develop thick roots, Kernza is a perennial grain whose long roots allow it to hold soil in place and prevent erosion. 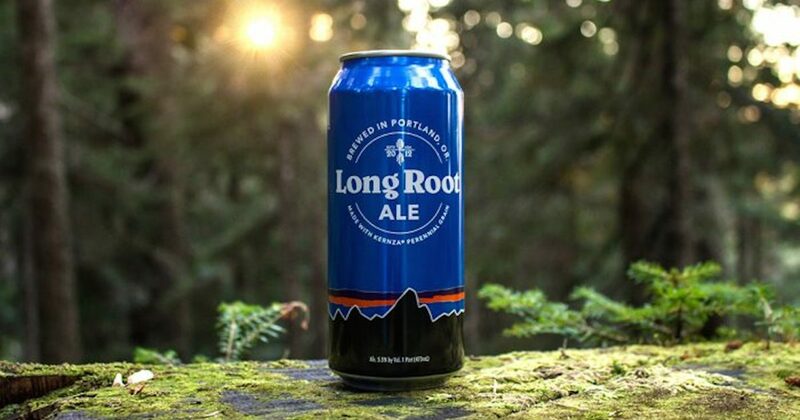 As of now, Long Root Ale is sold in four-packs of 16oz cans in select retailers currently limited to California, Oregon, and Washington as well as on draft at both Hopworks locations. For more information about Long Root Ale, visit the official website. Is Canada Getting Its First Cannabis Beer?